Update: I sent out the September Newsletter on August 25, 2014. If you signed up for the Newsletter, but you haven’t seen it, please check your spam or junk folders. If you don’t find it, please send me an email and I will give you a link to view it. Thanks! I also welcome you to join the new Sacred Music Studies Study Group on Google+! It has great potential to be a place to discuss the music we’re learning, and to share the experiences we have while implementing the studies in our lives. I hope to meet you there! P.S. You can sign up for the Newsletter at anytime; this is an ongoing study (my goal is a 12-year rotation of hymns.) And once you sign up, you will be able to view all previous issues if you’re interested! This September, I am launching “Sacred Music Studies” for anyone interested in learning more about the music of the Catholic Church. Anyone can use them for personal study, and I am setting them up so homeschooling families can easily add the studies to their schedule. Disclaimer: I hold a B.A. in Piano Pedagogy, with a minor in Organ, but I do NOT hold a degree in Sacred Music Studies. I have played the organ for numerous Catholic Churches since college, and I also directed a youth choir for two years. I have a genuine interest in learning more about sacred music, and since I was adding a rotation of hymns and chants to our homeschool day, I figured I would share that with anyone interested. 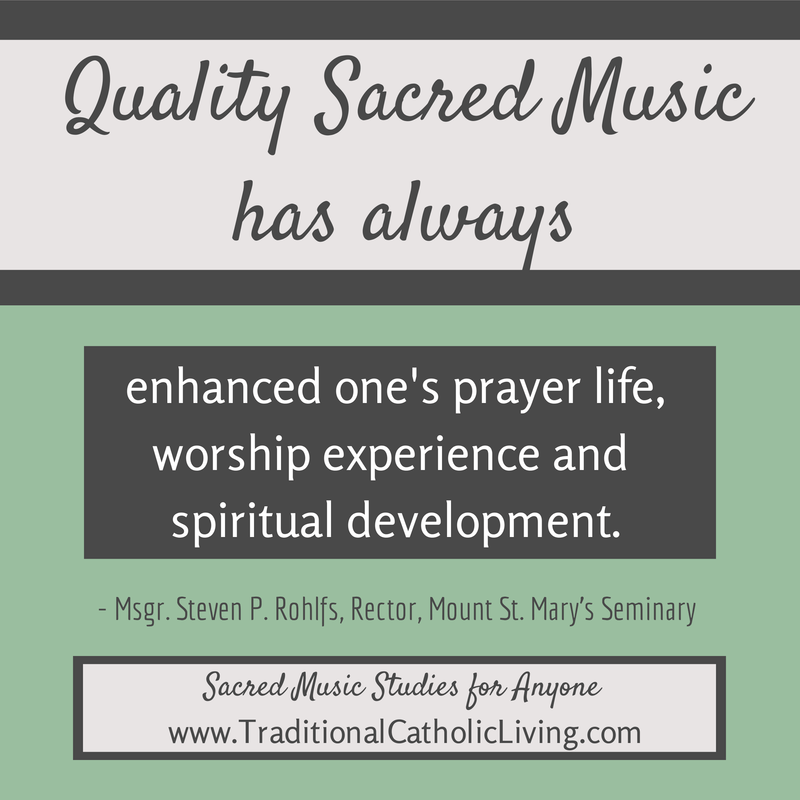 My main goal for these “Sacred Music Studies” is to help families bring traditional Catholic music into their homes and hearts. If that eventually leads to new scholas, or more students pursuing a Sacred Music Studies Degree in college, or even a raised awareness of what kinds of sacred music are offically approved, my dreams will be achieved. How do I take part in the Studies? You will need to sign up for the monthly newsletter, even if you are currently subscribed to the blog to receive notifications of new posts. Four kinds of Church music: liturgical hymns (for Mass and the Breviary), devotional hymns (for home and outside of Mass), Latin Gregorian chants (for Mass and the Breviary), and polyphonic choral works. How will I learn the music? You will be provided with audio, sheet music or scores (in the public domain), lyrics, and learning activities (suggested further reading, links to historical information, ideas for young children, and more.) You listen, follow along, and sing! What will be studied each month? The main focus each month will be studying one hymn or chant. You will learn how to sing the song, study the text, and hopefully memorize it just by singing it often during the month. You will have the option to listen to (and learn) an additional polyphonic work and/or the Latin propers for each Sunday Mass. There will also be suggested assignments for learning to read Gregorian chant. I can’t read Gregorian chant! How can I teach my children to sing it? I’m still learning how to read Gregorian chant, too, so don’t worry; it’s not a pre-requisite. By following along with the lyrics and audio provided in the newsletter, you should be able to learn how to sing the chants. If you are interested in learning how to read and sing Gregorian chant, I found some amazing, free resources for children and adults. We will be using one of them in our music study this year, and you are welcome to join us; the lessons to complete (in order to finish the resource in a 9-month school year) will also be included in the newsletter. Why bother learning sacred music at home when you can just enjoy it at Mass? First of all, let me just say that if you have beautiful sacred music at your parish, you are blessed. Folk, rock, jazz, or other secular music should NOT be used at Mass (click here to read a 2013 letter from an American Archbishop explaining this.) Christian pop songs have their place, but outside the context of divine worship. If your parish uses hymns that remind you of secular music, you will benefit greatly from learning traditional forms of sacred music. Vatican II re-iterated that Gregorian chant should have “pride of place” in the liturgy. Scholas are popping up all over the country, and there are signs of a slow, but steady, re-alignment back to what the Church officially approves. That said, whether or not you have traditional sacred music at your parish, I believe your participation at Mass will greatly improve if you study sacred music at home. For example, a careful, slow study of the texts, and the translations of Latin hymns, will be mini-Catechism lessons that you are reminded of at Mass. And, if you know what Bible verses or doctrines are being referenced, you will have a deeper understanding and appreciation of the text and music, their beauty, and their importance in the liturgy. Learning devotional hymns that aren’t sung at Mass will increase your personal devotion (hence the name) to the Sacred Heart, Our Lady, the angels, saints, and those in Purgatory. I guarantee your love for the Catholic Church herself will increase, too, as you come to realize how she has provided us with an amazing treasure trove of music for the liturgy, and for our own sanctification. The introductory newsletter will be sent out the last week of July, and it will explain how the Newsletter will be set up, what materials you can print if you desire, and most importantly, which hymns and chants you will learn in the next 12 months. The first real “Sacred Music Newsletter” will be sent out the last week of August, so that everyone will have a week to prepare, gather materials if needed, and be ready for the first week of September. I hope you decide to join me and my family as we learn one piece of sacred music a month! I’m so excited you’re here! Any other questions? Ask away in the comments below! If you found this announcement after September 2014, don’t worry! You can join in at any time because the hymns and chants aren’t in order from “easiest” to “hardest”. Start whenever you’re ready; just jump right in. I am excited about this! I am not very musically inclined and needed some direction on what to do! I will be doing this with my 4 year old. Hi Rachel! Glad you’re going to give it a try! I’m trying to make these hymns and chants easy to learn, so don’t worry about your musical ability. 4 year olds just need lots of repetition to learn the hymn, so just keep singing, pointing to the words as you go, and your child will pick up any song! Only let the lesson go as long as he/she is interested. In our house, I keep singing the song over and over until my boys stop trying to join in, and I take that as the cue to end the lesson. You’ll find your own cue. Thank you so much for doing this! I’m really looking forward to using it to teach myself and my children. I’m also hoping to incorporate more traditional music into the music at our children’s school Masses. I’m still poking around your site, but I’d love to know of more resources for learning traditional music, starting a Schola, working with an elementary and secondary level choir, etc. I have a degree in piano performance and lots of experience with liturgical music, but not in traditional churches that make use of the fullness of the Catholic musical tradition. 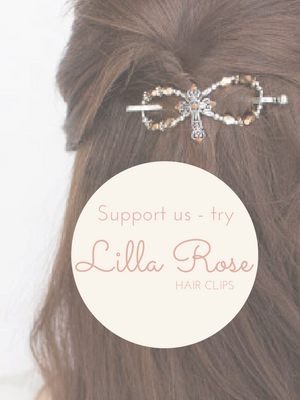 Thank you for your interest, and especially for what you are doing for the music programs at your Church and school! My go-to resources are ccwatershed.com, musicasacra.com, frogmusicpress.com, and canticanova.com. Glad you’re joining us for the sacred music studies! Have fun exploring the resources! There is a recent (past 10 years) boom of amazing resources for genuine sacred music to be discovered and used! Yes, thank you Christopher! This looks great for adults; very good to know that you had success with it. I’m planning on adding a list on the site of resources for learning Gregorian Chant, and I’ll be sure to include this one. Thanks for the suggestion! Jest wondering if this is still on track… I know things can get busy when you homeschool! But maybe it already went out for September, and I just signed up wrong?? Yes, Jessica, it’s on track; it must have gone to your spam or junk folder…please check for it there. I sent it on August 25. If you don’t see it, please send me an email at traditionalcatholicliving@gmail.com. Thanks! Hope you find it!